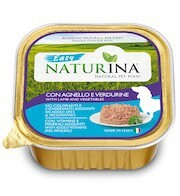 NATURINA ADULT with CHICKEN and FISH is especially formulated to meet the energy requirements of adult dogs of all sizes. NATURINA DIGESTION MONOPROTEIN LAMB WITH BARLEY is a single protein food hypoallergenic and highly digestible for dogs with food hypersensitivity reactions. NATURINA PUPPY with CHICKEN and FISH is especially formulated to meet the energy requirements of puppies and young dogs of all sizes. 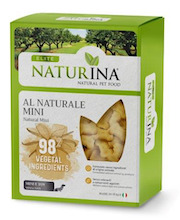 NATURINA MINI ADULT is a complete wet food for adult dogs of small size. Made from natural ingredients with high biological value, Chicken and Fish, which ensure high palatability. 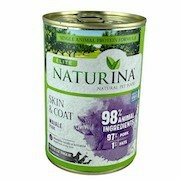 NATURINA ADULT is a complete wet food for adult dogs of all sizes. Made from natural ingredients with high biological value, Chicken and Fish, which ensure high palatability.